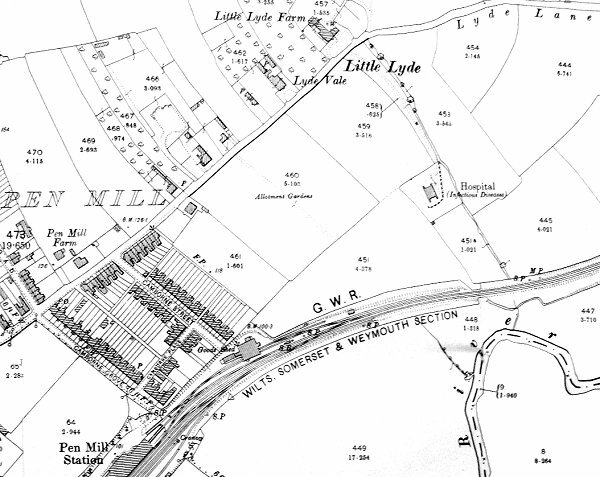 Little Lyde was an area which appears on the 1901 Ordnance Survey and approximates to the area on Lyde Road by the junction with today’s Vale Road and the open space opposite bounded by Sandringham Road, Balmoral Road and Howard Road. At this time there was little more than Little Lyde Farm, a house called Lyde Vale and the track leading to the isolation hospital. At this point Lyde Road ended but a track continued to the east, called Lyde Lane, where Vale Road runs today. Indeed, the cul-de-sac at the eastern end of Vale Road is still called Lyde Lane even today. Instead of running east, today's Lyde Road runs north from the approximate location of Little Lyde. On this 1901 Ordnance Survey Little Lyde is the area shown at top.